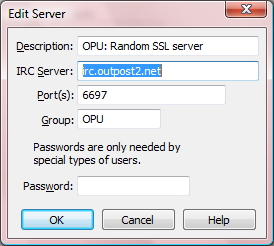 This applies to ALL subdomains (for example, forum.outpost2.net to access the forum; irc.outpost2.net to access IRC). Update your bookmarks. Directions to update your IRC client are listed below. 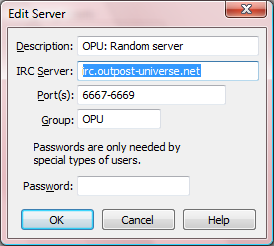 IF YOU FAIL TO DO THIS YOU MAY NOT BE ABLE TO ACCESS THE WEBSITE, IRC, OR ANY OTHER OUTPOST UNIVERSE NETWORK SERVICE. We will provide you with more information in the coming days. This guide is based on our OPU NNS/mIRC package. If you are using a different distribution of NNS/mIRC the details of the steps you need to take to reconfigure the server settings will depend on the settings used by your distribution. 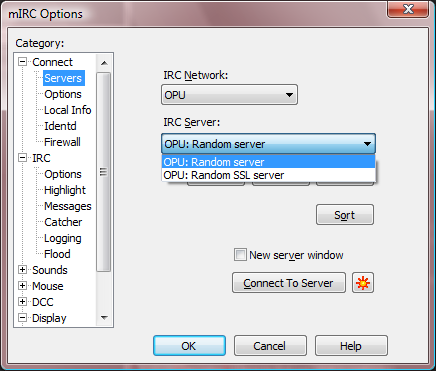 In mIRC, click File->Select Server..., or press Alt+E. 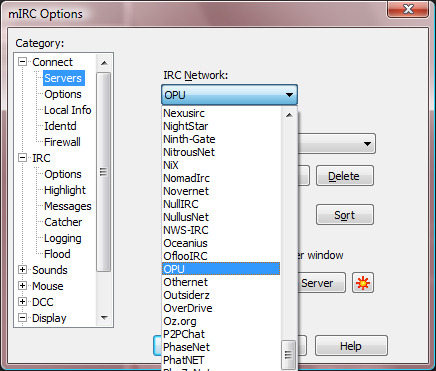 In the IRC Network dropdown menu, select the item for the OPU IRC network, which is named "OPU" in our mIRC package. 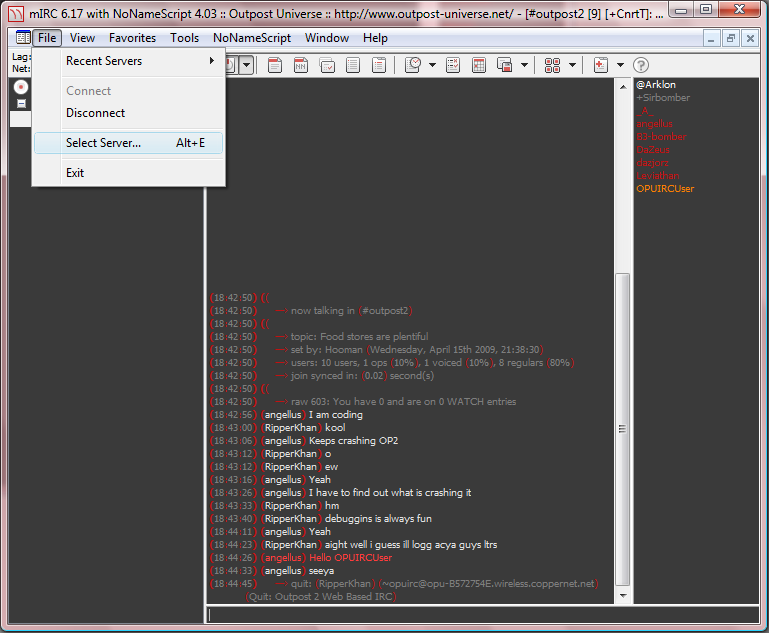 Select the first item in the "IRC Server" dropdown, and click the Edit button. 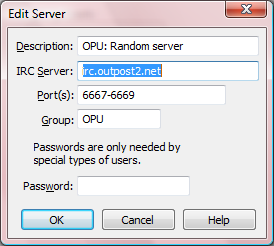 Replace the entry next to "IRC Server" with irc.outpost2.net. 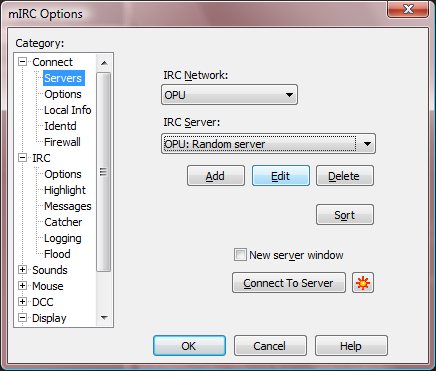 Optional: repeat steps 3 and 4 for each item in the "IRC Server" dropdown menu.